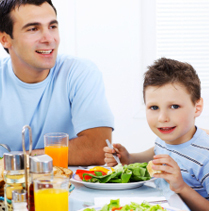 Learn some of our quick solutions to getting your family to improve their eating habits for a healthier lifestyle! Always make sure to keep offering your kids fruits and veggies; serve a wide array of them throughout the week even if they don’t immediately fall in love. It can take 15 instances of trying something new before liking it! The most important thing is to keep on offering it—more exposure increases the chances that they’ll finally accept it. Use hunger as your friend! 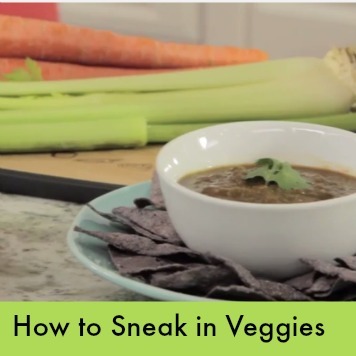 Serve veggies first at snack and meal time when kids are hungry. Offer string beans with garlic and soy sauce (the long frozen string beans from Trader Joe’s are a hit), sliced jicama with a splash of orange juice and chopped cilantro or baby tomatoes and hummus as an appetizer, while you finish preparing dinner. Try serving fruits and vegetables made in different ways: steamed, stir-fried, roasted, dried to make “chips,” raw, etc. If kids don’t like raw fruits, try baking or microwaving them to soften them and bring out their sweetness (a sprinkle of cinnamon never hurt, either!). 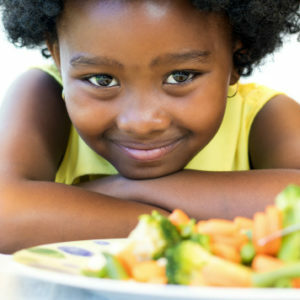 And don’t get disheartened: kids may not like a fruit or veggie prepared one way but may love them prepared another way. For example, my daughter doesn’t like stir-fried zucchini but loves breaded baked zucchini coins or zucchini noodles. Take it as a challenge to get more creative in the kitchen! Don’t let your food memories get in the way. For example, if your parents forced you to clean your plate or eat vegetables, you may associate that negative memory with certain foods. Why not create a new positive memory with the very same items? Who knows, maybe your kids will love that veggie you didn’t like growing up. You just won’t know unless you serve it! And hey, you might surprise yourself– maybe after avoiding it for so long, you’ll find you like it, too! Don’t use food as a punishment or a reward—no matter what! It’s so hard not to, but this one is critical. By punishing your kids with eating vegetables, or rewarding your kids with sweets, you are attaching emotions to these foods. Those vegetables will now be associated with fear and unhappiness, and those desserts will be associated with feelings of joy and reward. This is a slippery slope and may lead to emotional eating in the future. Though unhealthy food rewards are not recommended for good behavior, non-food rewards for trying new foods (such a sticker, a trip to the park, a special day with mom/dad) can be an excellent way to encourage kids to try new foods. It’s okay to reward kids to try new foods, as long as they are non-food rewards. Plus, if you reward them with fun physical activities (like a day at the beach or lake), you’ll be creating positive associations with physical activity, too! Get kids involved in the cooking—helping out with meal preparation makes kids more likely to try new foods. Have little ones help stir with a spoon, toss a salad with utensils, or sprinkle cheese on top of dishes to make it fun and exciting. 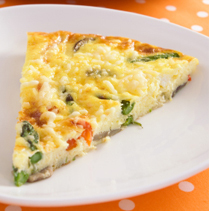 See our Super Crew Age Specific Cooking Guide for Kids. Older children can help chop, shred, and cook items. When children know more about the cooking process and feel involved, they’ll be proud to taste their creations! Offer new foods! Introduce a new fruit or vegetable once a week. Even if you’ve never tried it, be adventurous! You never know what your kids (or you) may like! Pick according to the seasons, or try going through the alphabet and trying a new fruit, veggie, spice, or herb for each letter. If your kids hear you telling them to eat their veggies but never see you eating them, they don’t have a good model to follow! Words aren’t enough—actively showing them examples will have the best effect. Remember, “Do as I say, not as I do” doesn’t work with teaching kids good eating habits! With these tips in mind, your children can slowly but surely grow to love a wide variety of foods. By simply being consistent and patient, and throwing those age-old expectations out the door, your little ones can accept new delicious and nutritious foods into their palates. 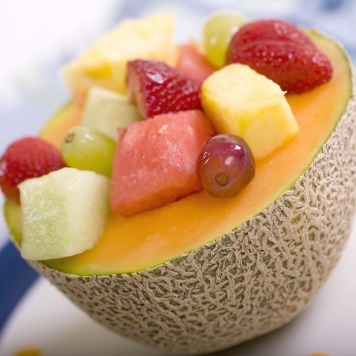 Learn more about nutritious foods with your kids on the Super Crew kids’ site! Then check out our fun free summer program – Activate YOUR Summer Shield!